You want to eat this, right? It’s easy and totally worth your valuable time. 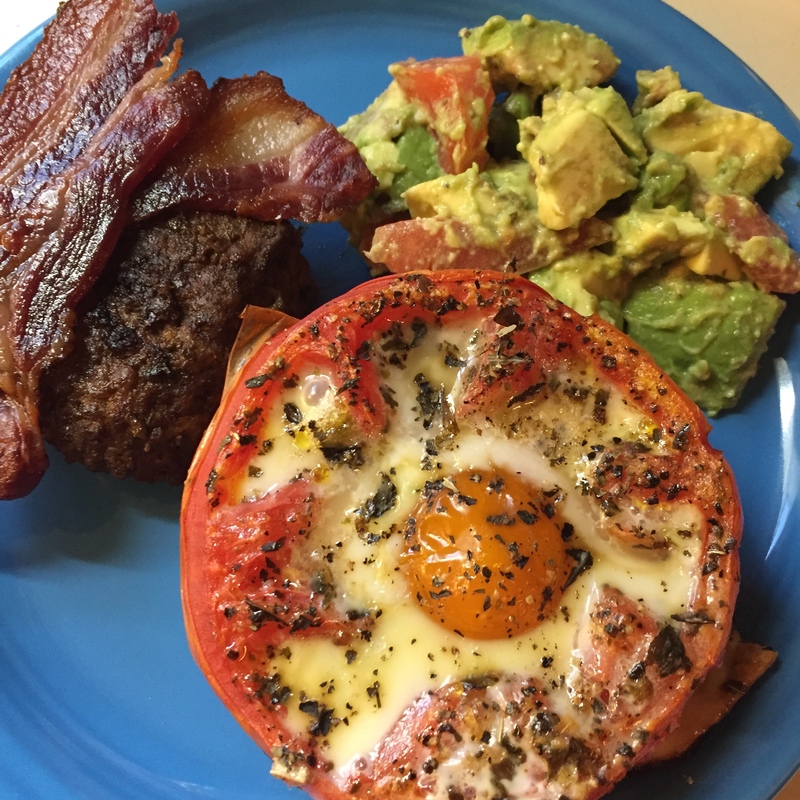 Eggs in Roasted Tomatoes makes a great meal solo, but can also be a great side dish, like in the photo, above, with Best Grass Fed Bacon Burgers and chunky guacomole. We’ve also had them for breakfast. I took 4 large organic tomatoes and sliced off the top of each one. Then, using a teaspoon, I cored them out a little bit and got out the seeds. I rubbed coconut oil in the bottom of a baking dish. I poured a tsp of olive oil on each tomato. I roasted the tomatoes in a 400 degree oven almost 30 minutes. They smelled absolutely incredible! 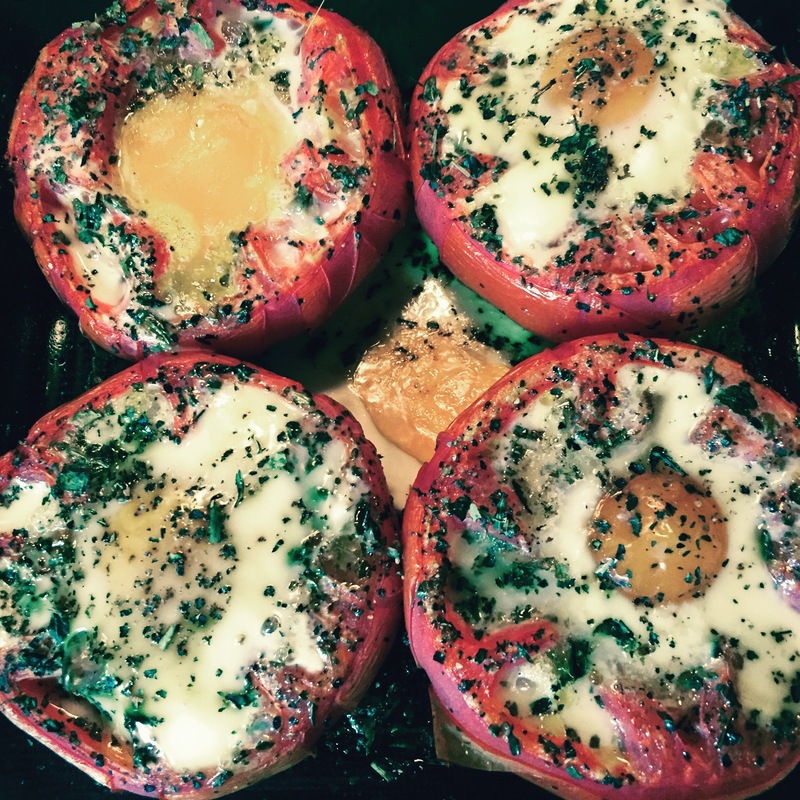 I took them out of the oven and cracked an egg INTO each tomato and added more smoked sea salt and pepper. I put them back into the oven for 10-12 minutes. You could do more than four tomatoes at a time if you needed to. I’ve done 8 big tomatoes in a 9 x 12 glass baking dish recently, too. Delicious!